I have had a super busy weekend both inside and outside of crafting. 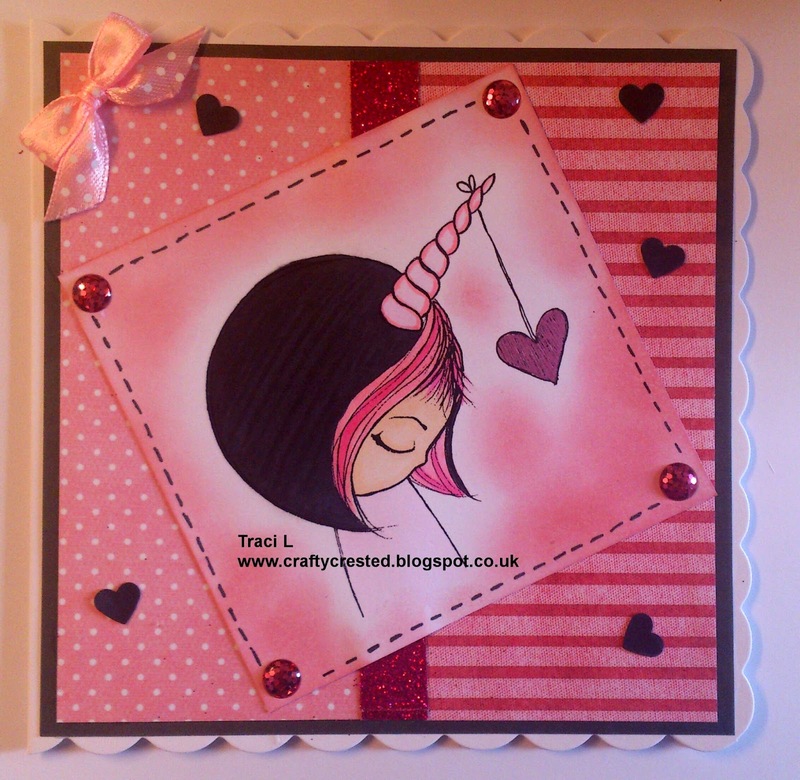 This is my make for this weeks challenge over at Incy Wincy Designs. The theme for this week is Faux Techniques. I used a 6" scalloped card blank. 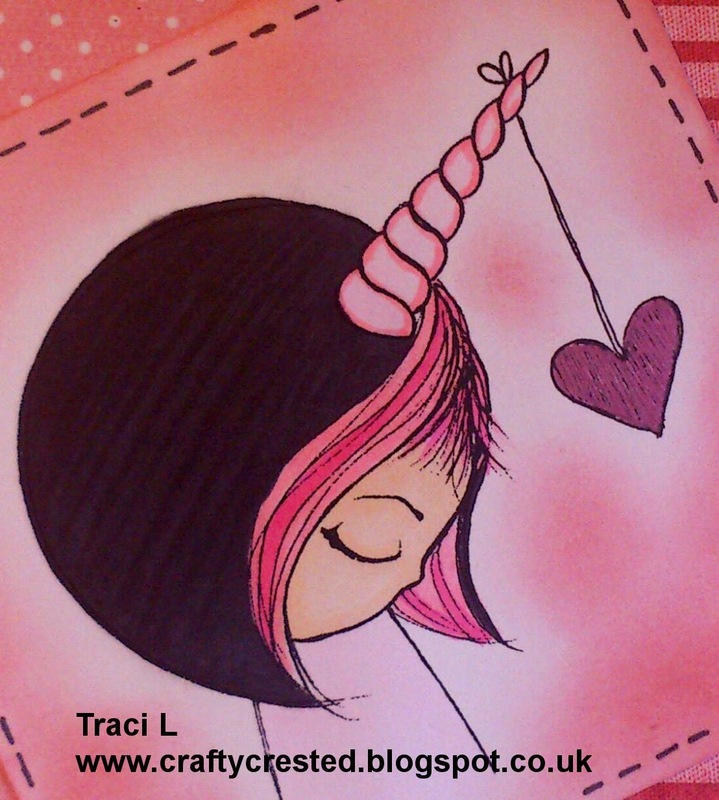 The gorgeous image is by Dilly Beans and is called Unicorn Girls Heart. I adore anything unicorn so this my a fun make for me. I coloured the image using Copic and Spectrum Noir markers. I mounted it using paper from the Lili of The Valley Butterfly Kisses paper pack. I added Versafine pearlised ink for distressing, pink glitter card, X-Cut black hearts, pink glitter embellishments and a bow. I finished it by adding faux stitching. Have a super week and thank you for dropping by. by us at Scrapping4fun Challenge. This is beautiful, what a fab image! Love the sparkly border. Thanks for sharing your creation with us at In the Pink!